The Regina Red Sox rode the brilliant pitching performance of Michael Garcia in their 2-1 victory over Weyburn Friday night. Garcia earned the win with seven strong seven innings in which he allowed just one run on four hits and two walks. He also struck out four Beaver batters. Regina closer Sam Brunner added his 11th save of the season throwing 1.1 scoreless innings. Weyburn’s Logan Lund, who started the game but lasted just 3.2 innings, was charged with his third loss of the season. 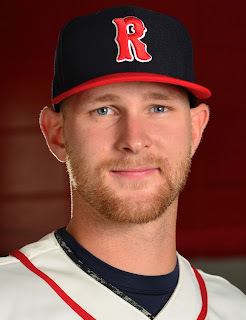 Red Sox shortstop Ryan Lambrecht powered the Regina offence with two hits and an RBI. The Madonna University Junior doubled in the third inning and added a single in the fifth inning. With Friday’s win Regina improved to 20-12 while Weyburn dropped to 17-21. 575 fans turned out to watch this southern Saskatchewan baseball battle at Tom Laing Park. The Regina Red Sox now travel to Swift Current for a weekend series with the Eastern Division leading Indians.